Thank goodness the Ancient Greeks took time in between perfecting wrestling and athletics to come up with this tasty number. Soft pita, refreshing mint and creamy yoghurt have been putting smiles on Greek faces forever, so it’s no surprise these souvlaki wraps will do the same for you. 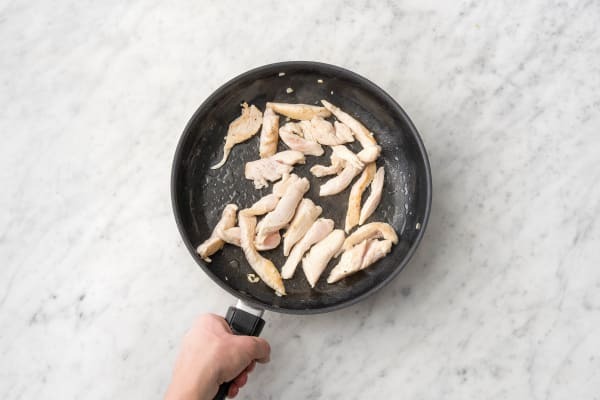 To prepare the ingredients, peel and crush the garlic, slice the chicken thighs into 1 cm pieces, and thinly slice the red onion. Grate the cucumber and remove any excess water, pick and roughly chop the mint leaves, wash the baby spinach leaves, and dice the tomato. 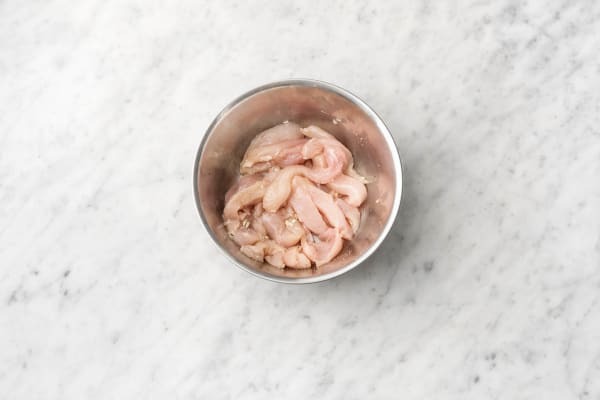 In a medium bowl, combine half the olive oil, the garlic, chicken thighs and salt and pepper. Set aside. 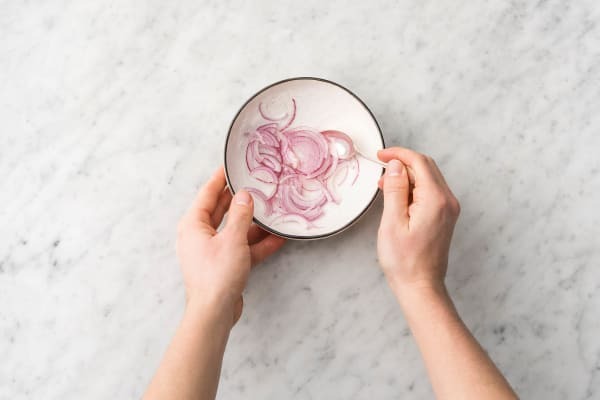 Meanwhile, in a small bowl mix together the red onion, sugar and apple cider vinegar. Leave for 5 minutes then drain and set aside. 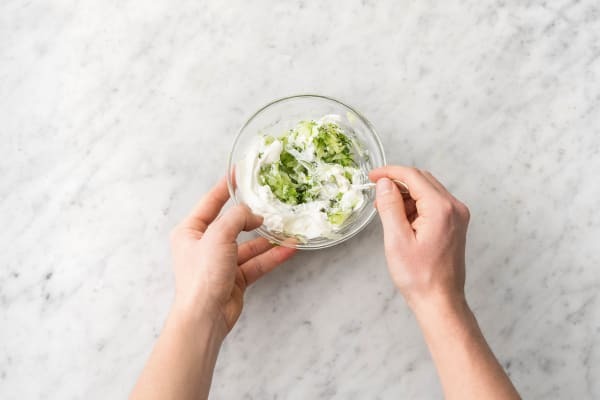 In a second small bowl combine the Greek yoghurt, cucumber and half of the mint, and season with salt and pepper. Set aside. Heat a large frying pan over a medium-high heat with the remaining olive oil. Cook the chicken thighs for 5-7 minutes, or until crispy. 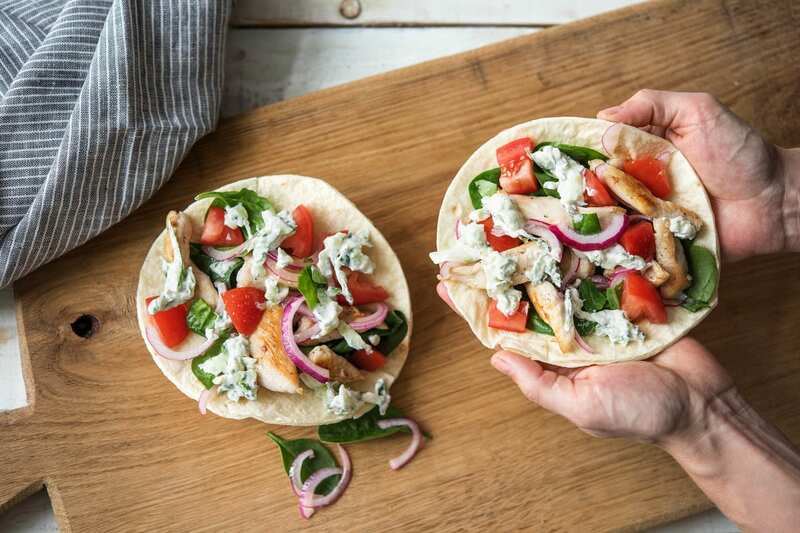 To serve, heat the wholemeal pita breads in the microwave for 10 seconds and top with the herby yoghurt, baby spinach leaves, tomato, remaining mint, pickled onion and souvlaki chicken. Enjoy!